Sorry, this page is under construction until tomorrow--you can visit the Video Library Page toward the bottom of the navigation bar to watch updated videos on Comet Elenin. 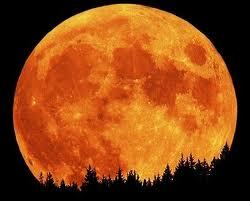 SEPTEMBER UPDATE: A SUPERMOON IS COMING! An approaching brown dwarf star answers a lot of questions about what is happening all around us that others simply cannot begin to answer. No one really knows what will happen in the fall of this year as this incoming celestial body gets between us and the sun and then rebounds out again and heading directly into earth’s neighborhood. One person has speculated that it could rip our moon loose. It could hit us if its flight plan is changed by hitting an asteroid in the up-coming days. That could be possible if it really were a comet, but if it is a neutron star with a large mass, nothing will deflect it's ordained path. Below is an article we have reprinted from Dr. Sircus' email newsletter from May 2011. As subscribers to his site, International Medical Veritas Association, for several years, we have found his writings (mostly on health related issues) to be very insightful and informative. We had been praying as to whether we should post any information on Comet Elein when we received the email below. The whole solar system seems to be heating up, the sun is becoming active and earth-changing events are becoming more frequent and intense with beyond-worst-case-scenario climate changes hitting around the globe. We have increasing geo-activity, volcanoes, earthquakes, rogue tides, sinking islands, magnetic pole migration, mass animal deaths, huge unexplained whirlpools in the Atlantic and so much more it would make anyone’s head spin. There is a lot of information (except in the mainstream press) about 2012 and the end of the Mayan Calendar that many are obsessing over but there is more than enough in 2011 to worry about and act on. Last week I was knocked off my chair with the report from the Arctic Circle in Greenland that the sun came back over the horizon two days early. That’s no small occurrence, is not something easy to make up, is not being reported as expected in the mainstream press, and only wild and stupid theories like global warming (since we really have rapid cooling) are being blamed for the event." We are not scientists or astronomers, but we have "done our homework" and have decided you too, need to do yours. Death, and Hades came close behind him; and authority was given to them over over the fourth part of the earth, to kill with sword, and with hunger, and with death, and with the beasts of the earth.... "